Born in Romania, Richard and Sabina Wurmbrand became Christians after they were married. They soon began sharing the Gospel, even though it was prohibited. In 1945, Richard stood up publicly and proclaimed Christ while speaking out against communism. 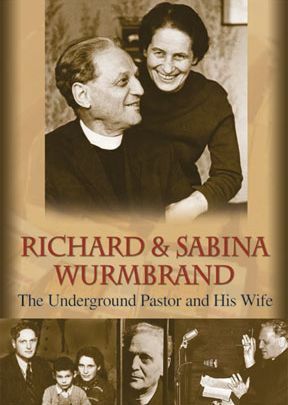 This bold move, as well as his work in the underground church, led to the Wurmbrands’ imprisonment by the Communist government. Richard and Sabina endured unthinkable horror at the hands of the Communists, but their faith and witness was only strengthened, even through multiple imprisonments. Widescreen. 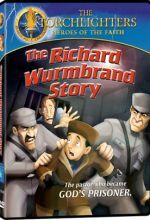 After being ransomed out of Romania, the Wurmbrands dedicated themselves to helping the world understand the horrors that were occurring behind the iron curtain. They began a ministry now known as “The Voice of the Martyrs,” to bring awareness to the persecution of Christians. Their legacy lives on through the work they began and the many lives they touched. Hear their incredible story through Richard’s and Sabina’s own voices and interviews with their son Mihai. Rare film footage and photos are included, from the archives of The Voice of the Martyrs and the Wurmbrand family. This is a tremendously told life story of the founders of The Voice of the Martyrs. I just happened upon it by accident and it was over the top. Applicable message for the days in which we now live. Excellent.